Lock in a great price for Hotel Verdemar – rated 8.4 by recent guests! Great location next to the beach but I was advised by staff that this was an unsafe place for tourists and that I shouldn't go out. The breakfast was lovely and very Brazilian. The rooms also have aircon which is very good. 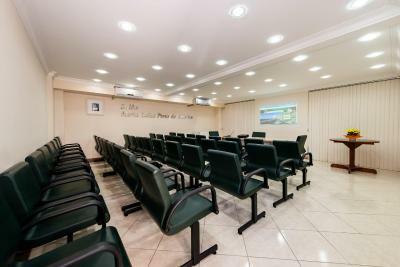 ATENDIMENTO EM GERAL LIMPEZA, LOCALIZAÇÃO, CAFÉ DA MANHÃ , ORGANIZAÇÃO. PARABÉNS A TODOS OS FUNCIONÁRIOS!!! Hotel aconchegante e dentro do que se propoe em oferta. Quero aqui dar um destaque a cozinha do hotel. Todas as refeições que solicitamos estavam DELICIOSA. Sanduíche, jantar, almoço...enfim tudo muito gostoso. O café da manhã com variedades, e assim como as demais refeições, muito gostoso. Gostei de tudo e de todos! Voltaremos em uma nova oportunidade. Da cama muito confortável, do horário do café da manhã que começa às 06:30, muito bom para começar os passeios cedo, da educação e cortesia dos funcionários. Localização é ótima, pena que as prais não são de banho. O café da manhã é ótimo e os quartos são extremamento limpos. A equipe de antedimento é excelente. Gostei muito do atendimento de todos os funcionários, em especial a recepção! Café da manhã excelente também! Quartos limpos, amplos, confortáveis! Banheiro bom, ar condicionado funcionando bem. 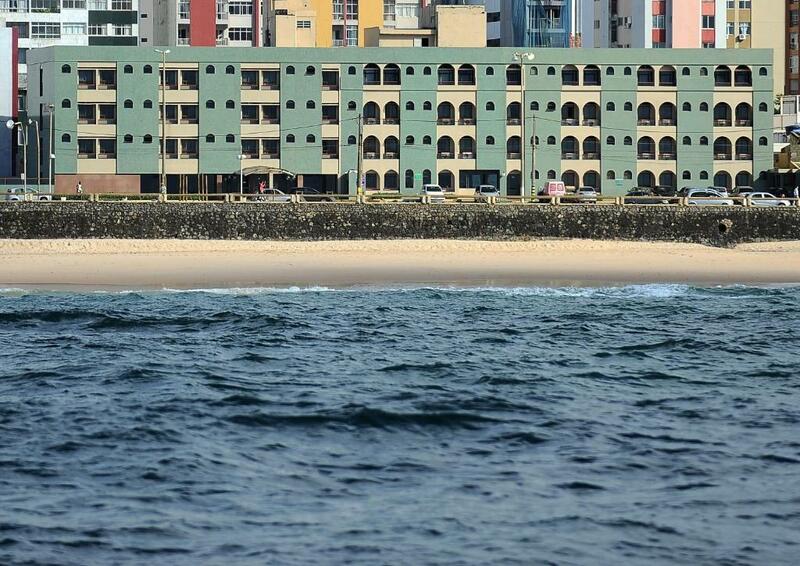 Localização do hotel muito boa para quem vem curtir o carnaval ou mesmo a cidade de Salvador. Na saída gostei do mimo que o hotel nos deu, uma boa lembrança de uma das melhores estadias que já estive em Salvador! 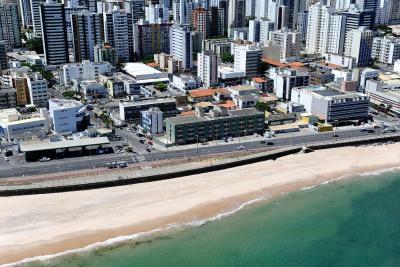 Da vista p o Mar, muito linda a orla na avenida oceânica., podem fazer caminhadas, andar de bicicleta, tomar agua de coco etc. la vista frente a las playas. el desayuno estaba muy bueno. Hotel Verdemar This rating is a reflection of how the property compares to the industry standard when it comes to price, facilities and services available. It's based on a self-evaluation by the property. Use this rating to help choose your stay! 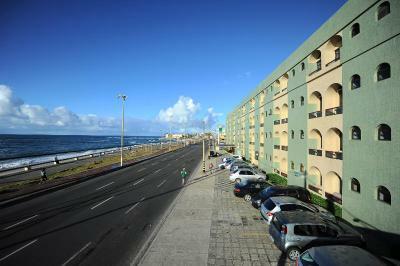 Hotel Verdemar is located in Salvador, right by Pituba Beach and offers air-conditioned accommodations with free WiFi. Parking is also free of charge. Rooms at Verdemar are decorated with colorful bedding and framed artwork, providing TV, telephone and mini-bar. Room service is available for additional convenience. 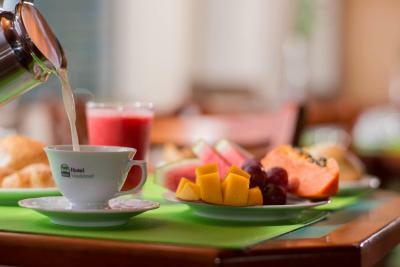 Guests enjoy a varied buffet breakfast with tropical fruit, juices, regional specialties and cakes. 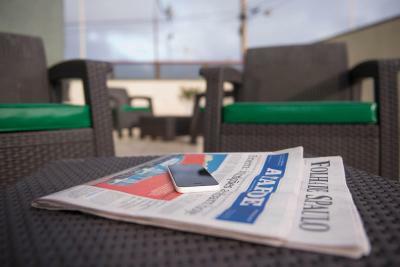 Hotel amenities include a cyber cafe and a 24-hour front desk. 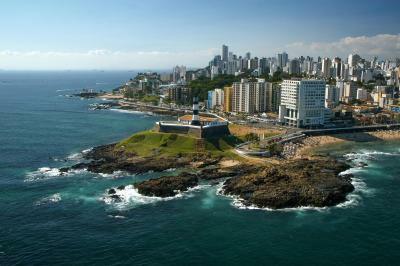 Verdemar hotel is located within 1.9 mi from Shopping Iguatemi and Bahia Convention Center. 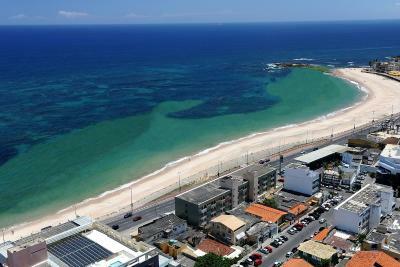 Itapuã Beach and the Pelourinho historical district are 6.2 mi away. 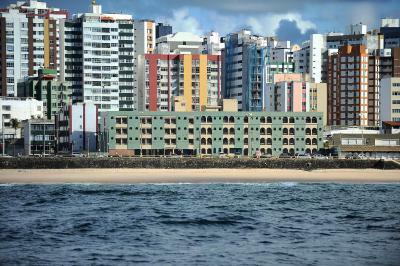 Pituba is a great choice for travelers interested in sightseeing, tourist attractions and scenery. 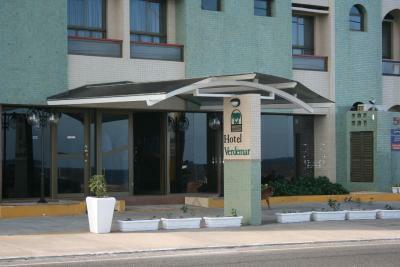 When would you like to stay at Hotel Verdemar? 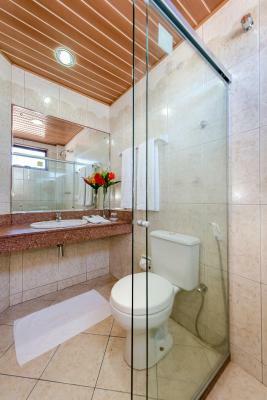 This air-conditioned room offers a private bathroom with central heating, TV, safe, telephone, work desk and mini-bar. It also includes a seating area. 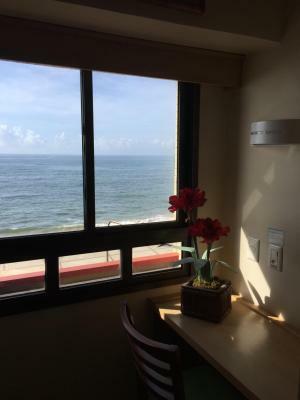 Some rooms offer sea views. This double room features air conditioning, a mini-bar, a desk and a TV. This twin room features a mini-bar, air conditioning, a desk and TV. 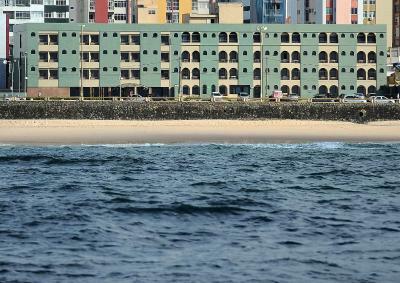 Hotel surroundings – This neighborhood is a great choice for travelers interested in sightseeing, tourist attractions and scenery – Check location Great location - show map Guests loved walking around the neighborhood! House Rules Hotel Verdemar takes special requests – add in the next step! Hotel Verdemar accepts these cards and reserves the right to temporarily hold an amount prior to arrival. I was slightly concerned having been warned by staff about the location.